Vibrant, colorful, and delightfully chaotic is how we would describe Puri. Puri is a city that would bring a smile on the sorest of faces with the kind of vitality and energy it exudes! It is an amazing destination for all kinds of travelers- whether you are traveling solo or with family and kids. It is also one of the holiest and most important places of pilgrimage for Hindus. It is home to the world-famous Jagannath Temple that witnesses an impressive number of devotees everyday. Puri is also known globally for its famous Rath Yatra that attracts tourists and devotees alike from all over the world. The other major attractions here are its beautiful, sandy beaches. You can take a leisurely stroll along the beaches for a perfect evening. There is no reason why Puri should not be your next getaway! It is peaceful and hep at the same time, a combination which is both rare and desirable. And since it is a touristy place, there are quite a number of hotels in Puri for people who are on budget as well as people looking to splurge. We have already said it before, and would reiterate as well- Puri has a lot to offer to every kind of traveller. So, what are some places that you must visit in Puri? Who hasn’t heard of this mighty Hindu Temple? 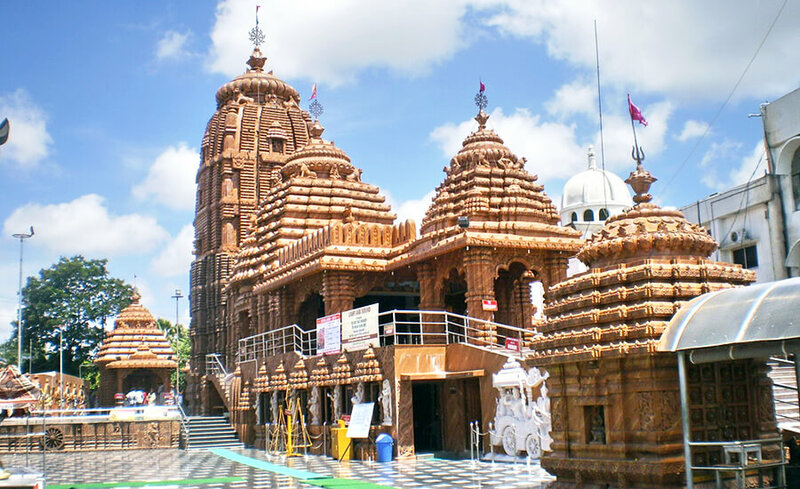 The Jagannath Mandir, as the name suggests, is dedicated to Lord Jagannath, an incarnation of Vishnu. It is not just one of the holiest places in the country for Hindus but also boasts of an impressive architectural style. This temple was built in 1198 and is accessible only to Hindus all over the world. This temple is a part of the pious Char Dham yatra, which it is believed that a Hindu must fulfill at-least once in their lifetime. The most distinctive feature of the temple is its 58 m high sikhara or spire that is embellished on the top with the flag and wheel of Vishnu. Many great saints of Hinduism such as Adi Shankaracharya, Ramananda, and Ramanuja were associated with the Jagannath Temple. If legend is to be believed, King Indrayumna- a Malava king and the son of Bharat and Sunanda- started the construction of the temple. This account finds its mention in the Skanda-Purana, Brahma-Purana, and other Oriya works of religious and spiritual significance. But even if we ignore the religious aspect of it, the temple is a visual treat. It is gigantic, and covers an area of 400,000 sq feet. Even though it might look really vibrant and intimidating from the outside, it is quite peaceful from the inside. In the central jagamohan or the assembly hall, you will see the idols of Jagannath’s brother Balbhadra and Subhadra. They are regularly garlanded by priests.